Set up a stereo pair or a multi-room system with this B&H Kit of a pair of black Gen 2 Sonos One Speakers. They will connect to your home network via Ethernet or built-in Wi-Fi to stream music from thousands of free Internet Radio stations or from virtually any online music service. 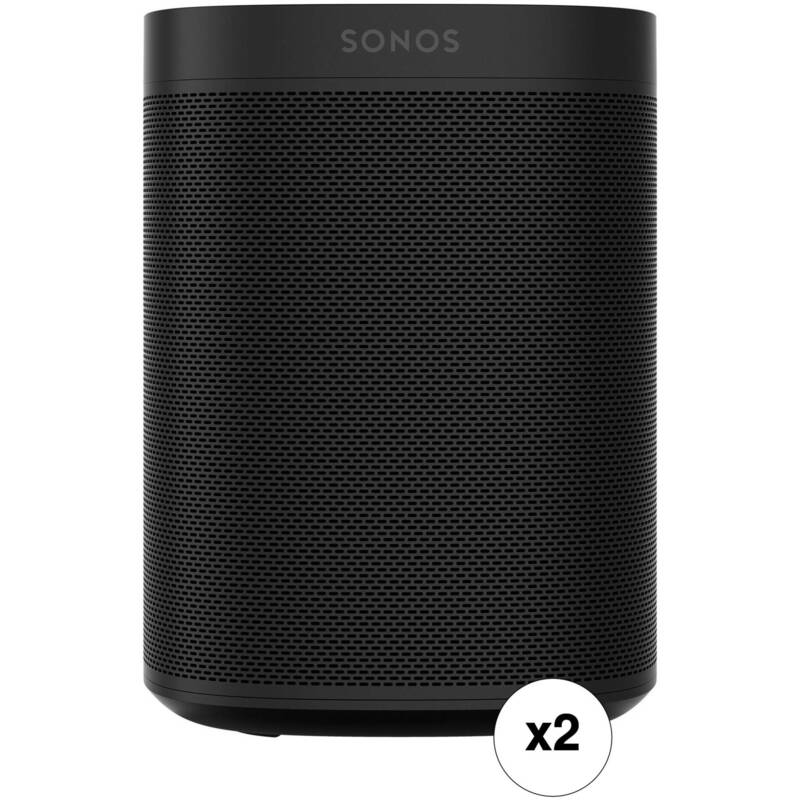 Connect the Sonos Ones to a PLAYBAR or PLAYBASE for surround sound. With Alexa functionality built-in, you can use far-field voice technology to ask Alexa to check the weather and traffic, hear sports scores, play your music, and more.